The Jungle Bunch is swinging out of the Jungle to save it from an evil Koala. Based on the French series of the same name. I do have wired flashbacks to Top Cat in the CGI animation style that looks like they have just made a long version of one of the TV episodes. 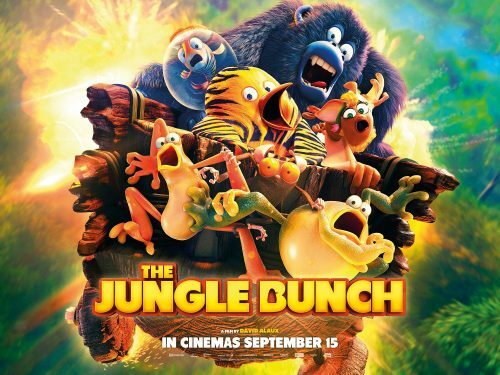 The Jungle Bunch follows a gang of misfit animals on a mission to protect their jungle home. In their first big screen adventure, the Jungle Bunch’s tiger striped Kung Fu penguin leader Maurice and his comrades – a goldfish, tarsier and gorilla – fight to protect the jungle from a gang of silly baboons lead by Igor the evil Koala.